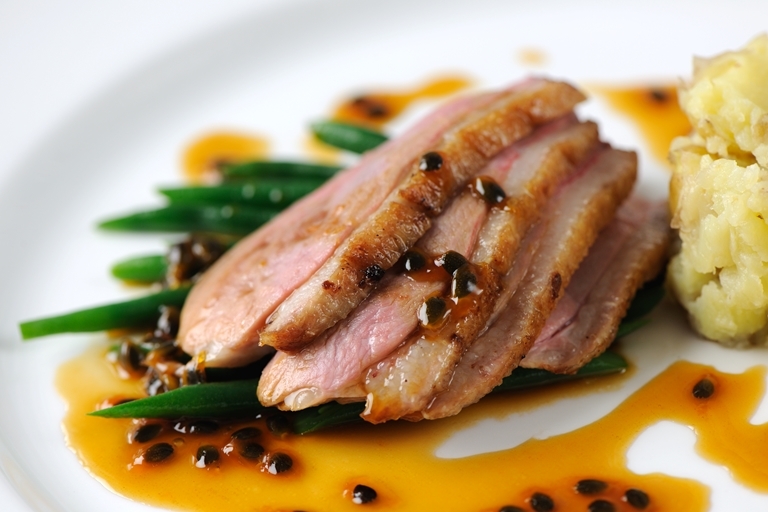 Beautifully cooked duck breast is paired with a remarkable passion fruit sauce in this duck recipe from Marcello Tully. Crushed potatoes provide a hearty companion to the duck, which is also served with lightly cooked green beans. When choosing a whisky for the passion fruit sauce, choose one with lighter, sweeter notes; Irish whisky is quite suitable, or Speyside if you are using a single malt.